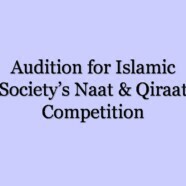 The Islamic Society will present Naat and Qiraat Competition on 30 April 2014. 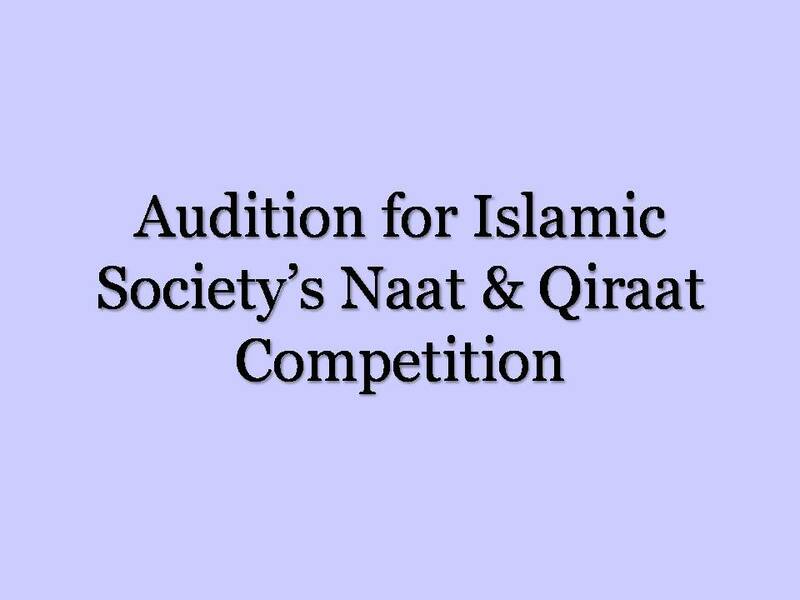 Auditions will be held on 17 April 2014 from 9:00 am to 3:00 pm and on 29 April from 9:00 am to 3:00 pm. For more information please contact Dr Farhat Aziz in room 059, D Block.